Personally Poetic is a direct sales company that sells all types of jewelry, including personalized charms and pendants, bracelets, rings, necklaces, and earrings. Personally Poetic (earlier called Poetic Xchange) is not just for women as they even offer a men’s line. Patti Pagliei and her sister Lizanne Pagliei Hales created their own jewelry line called Waxing Poetic. Initially, they developed a line that was inspired by wax insignias. Several years later, they expanded their brand and incorporated the direct sales concept and added on consultants to help them sell their products. They have created the “Poetic Place” which is where they and their consultants are able to connect with each other. Skilled artisans handcraft all of their jewelry in tropical villages of Indonesia with the goal of communal sustainability. An in-house design team led by their founder, Patti, creates each piece. Personally Poetic releases new product collections between three and five times a year, helping to keep the designs fresh. Personally Poetic products are a little pricier than some other jewelry direct sales company. Some of their pendants and bracelets will cost between $50 and $100, but you can also find pieces as low as $33 and as high as $212. On their website, Personally Poetic advertises that their jewelry is made of materials like sterling silver, brass, and other materials like leather, silk, crystal, and resin. The company aims to be globally conscious, and they use up to 50% recycled silver. They also are trying to reduce their consumption of plastic and are always putting forth new initiatives to make the company and brand more sustainable. Compensation: Consultants have the opportunity to earn between 20% and 35% commission on retail sales. Like most direct sales opportunities, the more people you add to your team, the higher percentage of sales you are able to learn. The team builder bonus allows you to earn anywhere from 4% to 23% on the downline of your team’s downline. Start-Up Costs: New consultants have two options for a start-up kit. The “Start Where You Are” kit costs $199, which is a $725 value. The kit includes seven charms, three chains, and one bangle. The other option costs $499 and is a $1650 total value. The kit will enable you to curate your own kit because you receive $1,500 worth of product credit of whatever you choose. The jewelry in either of these kits can be used as promotional items, giveaways, or for your own personal collection. Both kits also include all tools you need to get started including catalogs, brochures, order formers and a consultant binder stuffed with information and tips. Every new consultant is also teamed up with a consultant that is located in your area. However, since this a relatively new opportunity, there is not a large number of consultants in the company. You also receive online and personal training and access to webinars, tutorials, and reports. Personal Website: You receive a personalized website when you join as a consultant. The site costs $12.95 a month. Quotas to Maintain Active Status: No monthly quotas to stay active and you don’t have to carry any stock inventory. Bonus Opportunities: In your first 90 days, you can earn free jewelry on your sales. 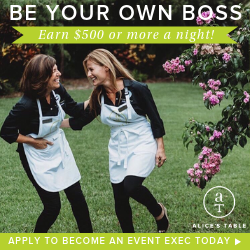 For each gathering you host, you have the opportunity to earn product credit and 50% off products. Personally Poetic is born through a desire to empower other women who want to tell their stories. They try to keep a family-feel throughout their company by hosting meetings and one-on-one talks with the founders. New consultants are able to learn and grow with the company quickly.